All of the educational sessions and exhibits will be held at the Marriott Marquis Houston in Houston, Texas. Located in the heart of the downtown, the Marriott Marquis Houston overlooks Discovery Green Park and is just minutes from Minute Maid Park and the Toyota Center. Take time to float around the world’s only rooftop Texas-shaped lazy river, or soak up the sun on the edge of the infinity pool. Visit Houston’s theater district, shopping district and nightlife within a few stops via the METRORail lines (subway station) situated one mile from the hotel. Two airports service the Houston area – the George Bush Intercontinental Airport (IAH) is 20.2 miles SW of the hotel and the William P. Hobby Airport (HOU) is only 9.8 miles NW of the hotel. A block of rooms has been reserved at the single/double/triple/quad occupancy rate of $229.00/night. 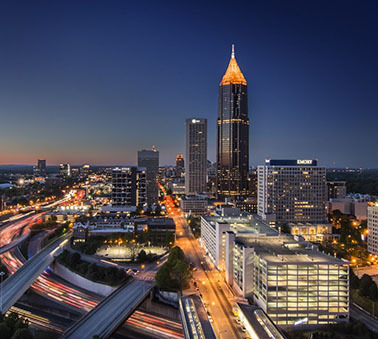 This does not include the applicable state and local taxes (currently 17%) subject to change without prior notice and any hotel specific fees in effect at the time of check-out. All reservations must be guaranteed to a major credit card with a deposit of one night's room rate plus applicable taxes. ONLINE: The Marriott Marquis Houston offers an online reservations website customized to reflect room rates and availability. Guests can make their room reservation online here. TELEPHONE: To make reservations by telephone, please call (800) 228-9290 and request the room block group rate for the "American Medical Society for Sports Medicine". ROOM AND RATE AVAILABILITY CAN ONLY BE GUARANTEED UNTIL MARCH 19, 2019 OR UNTIL THE BLOCK OF ROOMS IS SOLD OUT, WHICHEVER COMES FIRST! In the event a guest checks out prior to the guest’s reserved checkout date, an early departure fee of one night’s room (including the resort service package fee) and applicable taxes will be charged. To avoid this fee, the guest must advise the hotel at or before check-in of any change in their scheduled length of stay. Should you need to cancel your reservation, your individual deposit is refundable if notice is received prior to March 8, 2019. After this date, the deposit is non-refundable. The Marriott Marquis Houston offers valet and self-parking options for guests and visitors. The Marriott Marquis Houston and the Hampton Inn Houston Downtown Hotel do not provide shuttle service to the two Houston airports. PLEASE NOTE: Participants are encouraged to book their rooms in the hotel block to ensure AMSSM meets contracted obligations. PLEASE NOTE – AMSSM has secured an alternative Hotel room block option at the Homewood Suites by Hilton Houston Downtown. There are a limited number of rooms available in this room block so make your reservation early! Room Block Group Rate is available two days before and after meeting based on availability and must be requested when making your reservation. A block of rooms has been reserved at the run of the house occupancy rate of $219.00/night. This does not include the applicable state and local taxes (currently 17%) subject to change without prior notice and a State Cost-Recovery Fee of $2.25 per room night will also be charged on all rooms. Room Block Group Rate is available two days before and after meeting based on availability and must be requested when making your reservation. All reservations must be guaranteed to a major credit card with a non-refundable deposit for the payment of the first night's room rate plus applicable taxes. All guest rooms will be held for late arrival with your non-refundable deposit. Click on "Make a Reservation"
TELEPHONE: To make reservations by telephone, please call (800) 734-4114 and request the room block group rate for the "American Medical Society for Sports Medicine" at the time of making your reservation. ROOM RESERVATIONS MUST BE MADE PRIOR TO MARCH 20, 2019. ROOM AND RATE AVAILABILITY CAN ONLY BE GUARANTEED UNTIL THE BLOCK OF ROOMS IS SOLD OUT. Reservations are subject to a 7-day cancellation policy and a non-refundable deposit of one night's room plus applicable taxes must be given when your reservation is made. A block of rooms has been reserved at the run of the house occupancy rate of $159.00/night. This does not include the applicable state and local taxes (currently 17%) subject to change without prior notice. 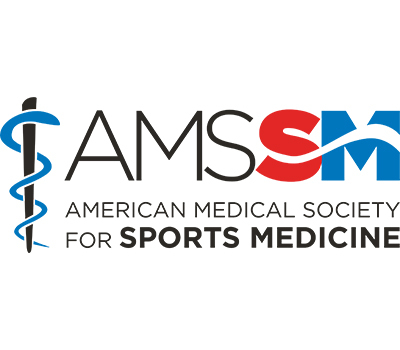 TELEPHONE: To make reservations by telephone, please call (866) 912-1080 and request the room block group rate for the "AMSSM 2019 Annual Meeting" at the time of making your reservation. ROOM RESERVATIONS MUST BE MADE PRIOR TO 5:00PM ON MARCH 20, 2019. ROOM AND RATE AVAILABILITY CAN ONLY BE GUARANTEED UNTIL THE BLOCK OF ROOMS IS SOLD OUT. A block of rooms has been reserved at the run of the house occupancy rate of $149.00/night. This does not include the applicable state and local taxes (currently 17%) subject to change without prior notice. Three or more persons in a double room (maximum four adults per accommodation) is subject to an additional $10.00/person/night charge. Rates are subject to applicable taxes. Upon check-in, each guest will be required to present a valid credit card on which an amount of sufficient pre-authorization can be obtained to cover the room and tax charges for the length of the guest's stay plus anticipated use of hotel's ancillary services and settle their account in full upon departure. TELEPHONE: To make reservations by telephone, please call (888) 915-1110 and request the room block group rate for the "AMSSM 2019 Annual Meeting" at the time of making your reservation. The room reservation deposit is refundable if guests notify the Magnolia Hotel of their cancellation at least 72 hours prior to their scheduled arrival. Otherwise their deposit of one night's room plus applicable will not be refunded.